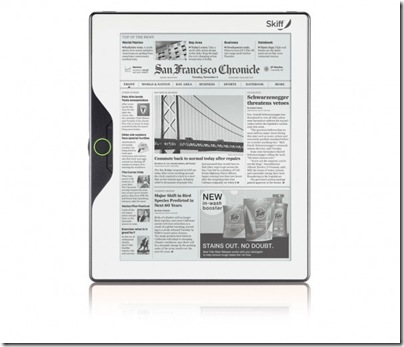 Skiff reader is a self produced e-book device from Publisher giant Hearst. 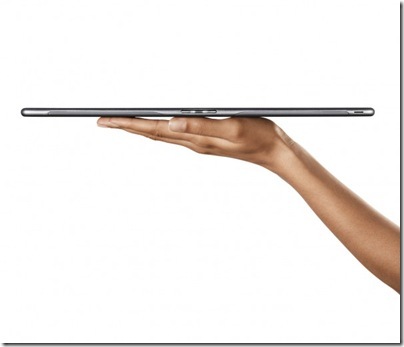 It comes with 11.5 inches giant screen which is very big compared to available Tablets or e-readers in digital market. 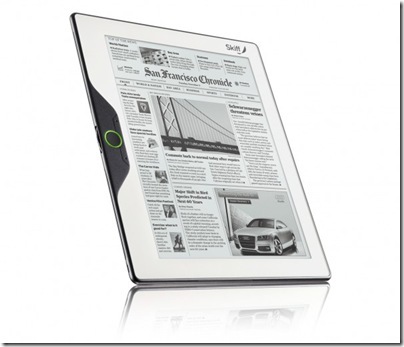 Its designed to display better suited to magazines and newspapers. 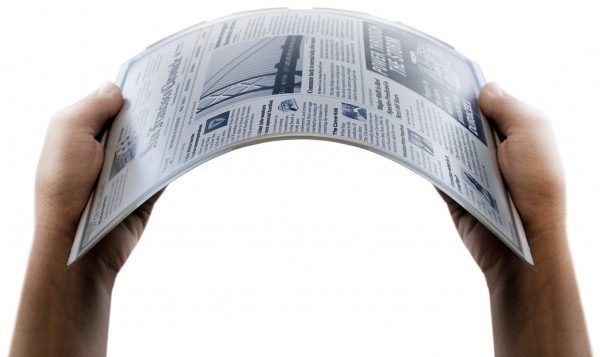 It comes with LG made flexible steel foil that resists shattering. Those who are addicted to reading news papers and magazines early in the morning, can use this Skiff reader as an alternative reader for browsing news and other stuff. 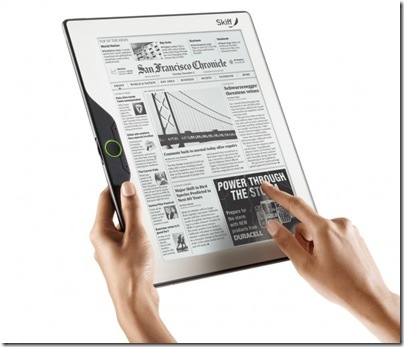 Unlike Kindle, it will be available in Sprint's retail shops when it releases sometime later this year. nice post. .please try this one. .terrabyt thank you. . .